With fireworks set to light up the sky across the UK in honour of Guy Fawkes, we highlight eight tips for tenants who are hosting a Bonfire Night party in their garden. There aren’t any specific rules forbidding a renter from lighting fireworks in the garden of their rental property, however, they can be unpredictable and as the tenant, you are ultimately liable for any damage caused or complaints received. Our top tips will ensure you still have a firework-filled night without any nasty repercussions. Apart from being aesthetically pleasing, fireworks must also be the correct size for your garden and need to have the British seal of approval (BS7114). If you don’t have a suitable tree or post, avoid Catherine wheel or other types of fireworks that could damage your fence and cost you money in charges. Ensure that you actually have enough room in your garden to safely light fireworks. Not having enough room can increase the chance of damage both to those attending and your rental property. Each council has specific rules and requirements for lighting fireworks in a garden, but it’s important to be mindful even when using fireworks designed for smaller gardens. Clearing out the garden is a good idea and can reduce the risk of something going wrong. Remove any furniture that isn’t required, clear away dry leaves, board up shed windows and move anything that you may trip over in case you need to run inside from a rogue rocket. If you have any prominent trees or bushes, try to let off fireworks as far away as possible to prevent them from getting in the way. Before setting off the fireworks, it’s a good idea to close all your windows and doors, to make sure that the property is protected in case a firework does hit the house. External damage to brickwork or windows will cost a lot less to fix than an internal fire or explosion. It isn’t just the fireworks that you need to worry about, you should consider protecting against an increased number of people using the house. As the party will inevitably move from the outside in, consider having people remove their shoes to not get any mud or dirt in the house in the wetter winter months, especially if it’s carpeted. While complaints from the neighbours won’t always result in charges from your letting agent, it can cause friction between you, them and the landlord. The best way to avoid this type of situation is to invite your neighbours, even if you aren’t close to them – it’s the courteous thing to do. Giving them a rough itinerary of when the fireworks will start and finish will also help manage expectations. 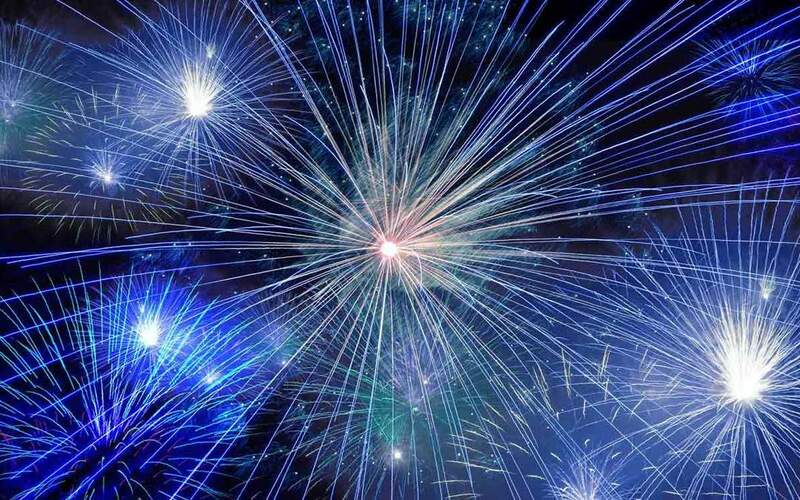 It’s forbidden to light fireworks between 11 pm and 7 am, except on Bonfire Night, where the cut off is midnight. But if you live in a heavily populated area with lots of kids, pets and elderly people, a lengthy, unexpected fireworks display could lead to several complaints. While the worst is unlikely to happen, there is always the option of getting insurance, or at least making sure that you are covered if anything happens that is unforeseen. There are a number of insurance providers that have Bonfire Night insurance packages for all sizes of events. Whether you are lighting the fireworks yourself or with a professional, there are a variety of policies available that could save you a lot in a worse case scenario. If you’re still worried that something could go wrong at your Bonfire Night party, include some extra funds in the evening’s budget in case there are any damages that could impact your deposit with your landlord. Something as simple as charred grass or fencing could cost you, as the landlord will want the property returned in the same way that it was originally rented. With the exorbitant fees charged by letting agents for things as simple as a name change on a lease, the risk of throwing a fireworks party could be higher than you think if damage to the house or garden occurs. It’s also crucial to think about whether the owner of the house would feel comfortable having fireworks lit up in the garden of their property, so it’s always worth checking beforehand. By pre-empting the worst case issues that could occur, you can safeguard against them and save yourself a lot of money in charges further down the line.